The ever beautiful VALLKREE Drifter is back in store! The VALLKEE rolls on a electric 250w rear hub motor being powered by Samsung Lithium Ion cells at 36v – 13 Ah. The VALLKREE is all about good looks and the fine details. The double springer Eltoro front forks make for a smooth ride and vintage look. 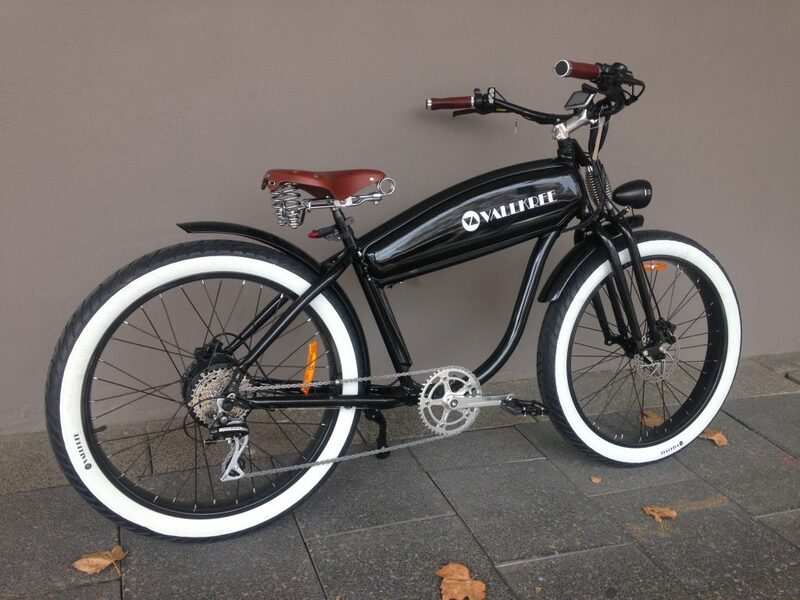 Australian leather is used for the hand crafted seat and grips which tie nicely in with the large white wall tyres. Come in store to see this stunning bike in the flesh!